Educational qualification details are given below. 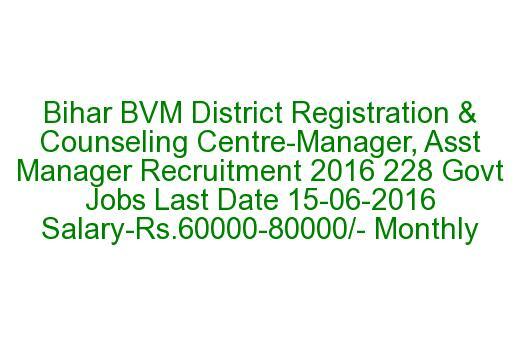 Jobs available in BVM Recruitment of DRCC Manager and Asst Manager Jobs. will be renewed with 10% increment every year. PGDM with at least 5 years of experience required on manager cadre/level. given to higher experienced candidates. applicable as per Bihar State Government Rules. Apply online here for Bihar Vikas Mission DRCC Jobs.